Today I want to talk about better understanding yourself and the others around you through the lens of colour. Firstly, I want to share a snapshot into how my personal development started. I was blessed at aged 18 to have the opportunity to complete an Insights Discovery Profile, this first experience saw a shy and introverted teen understand more about why she struggled speaking in tutorials, doing presentations and generally understanding why my moral fibre seemed to guide most of my decisions because of a burning desire to please other people. It was an eye opening experience that was a great one to share with some of my university peers and to see the buzz when the penny dropped and lots of aha moments occurred. 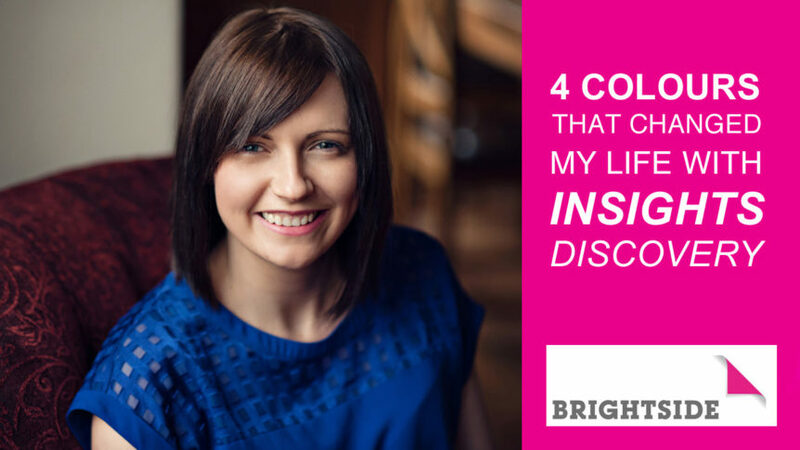 Little did I know that this initial experience would see me to later work for the company Insights for 5 years and then to establish my own business, Brightside, which would help to inspire others to be the best they can be. I love the below quote from Steve Jobs, it rings so true for me. The dots certainly connected for me with Insights Discovery. I truly believe that without this initial experience I would not have been so keen to work with Insights and that my path would have been completely different. The model has amazing power in its simplicity of using four colour energies as an entry point to learning more about yourself. 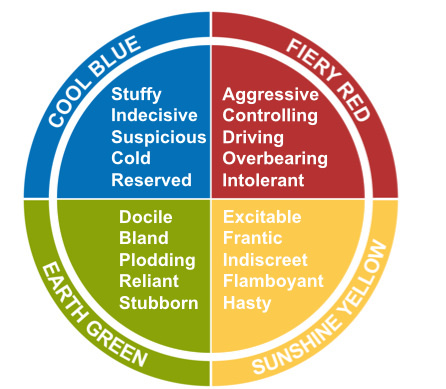 I am going to take you on a brief journey through the four colour energies to help you better understand yourself through your colour mix and start to spot different colour energies in your colleagues, friends, family and your partners. It’s important to note we each have an element of all four colour energies within us, you will however lead most dominantly with one of the colour energies. Comment below and let me know what you think your dominant colour energy is. 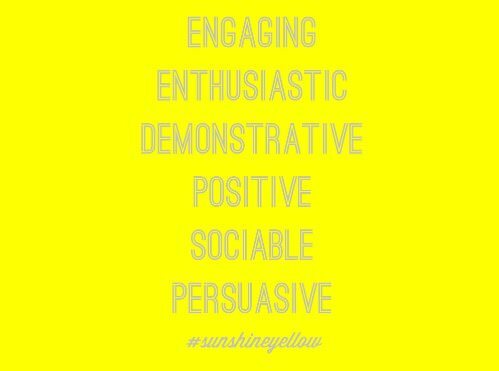 For people with sunshine yellow energy…general speaking, they’re generally speaking. They are life’s bubbly and sociable people who love to verbalise their thought processes. Those with a lot of sunshine yellow energy get a buzz by being around and working with others. When those with a lot of sunshine yellow energy are left out of the equation or to work in isolation for long periods is when you will see sunshine yellow demotivated. 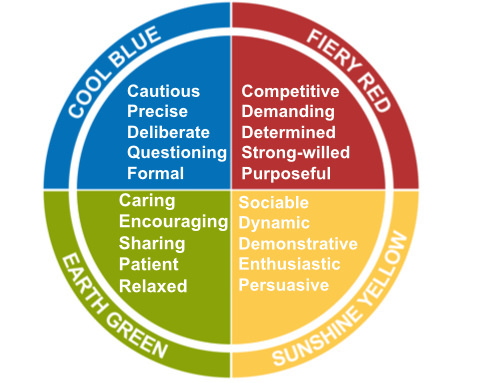 In contrast to sunshine yellow, cool blue is the opposite energy and therefore those with a lot of cool blue energy like to gather their thoughts internally before communicating ideas verbally. On the introverted side of the Insights Discovery wheel those with dominant cool blue energy like to think before they speak, prepare and be organised in their thoughts. 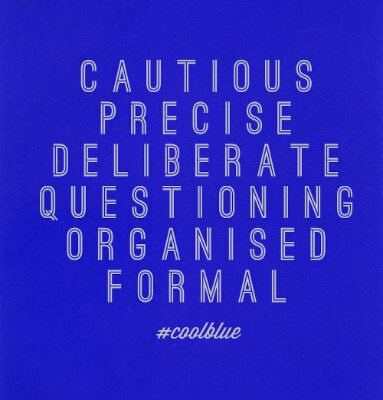 The driving force behind everything they do is to do things right so that is why those with a lot of cool blue energy prefer to give a response when they have had time to gather their thoughts rather than feel rushed and make a wrong, ill informed decision. Give individuals with cool blue energy details and lots of them. Fiery red is very easy to spot, those with a lot of fiery red energy are very direct and to the point, they have a need to get things done and quickly! Their high standards can feel very demanding for those around them who don’t have so much fiery red energy. 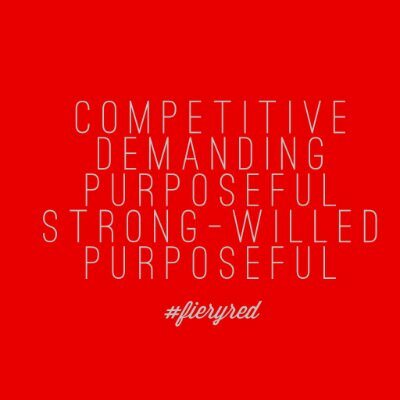 Actions, results and tangible things are often what fiery red people use to measure success. When communicating with someone with fiery red energy my advice is to get to the point quickly: be brief, be bright, be gone. Emails from those who lead with fiery red energy are often brief and to the point, don’t take this personally it’s just the preferred style of someone with a lot of fiery red energy. Finally… back to the introverted side of the wheel, earth green energy. This is the colour energy I lead with and it is at the core of all decisions I make in my life. If you lead with earth green energy you will be focused on the needs of others often ahead of your own needs because you have a deep rooted want to help and please other people. Often in trying to please others you please no one as you make yourself unhappy in the process and then resist when it gets to enough is enough. Those with earth green energy show up as caring, encouraging and patient individuals and make great team players and friends. Often the advice givers and sounding boards of this world because of their want to listen and help. However, on a bad day or asked to do something that you don’t agree with, earth green energy can show up in a very indecisive and stubborn way. Values are so important to those with earth green energy and their moral compass is always pointing due north. To summarise what I have discussed above, I want to leave you with the Insights Discovery Good Day & Bad Day Colour Wheels. Insights Discovery is underpinned by 30 years of research and was developed in my home city of Dundee. The model is used in over 30 countries globally and with individuals, teams and organisations. Interestingly lots of sporting teams use the model and I think it is on the sports field we see team work succeed or fail most acutely within tight timeframes. Delegates include the 2012 Team GB Olympic Team and a number of Premiership Football teams who have found the Insights Discovery model the key to unlocking even more success through self and team understanding. Not only does the Discovery model work well in organisations, but equally if you are unsure about your next steps then taking the time out to work on your own self understanding will be one of the best decisions you make. Order your colours, what is your dominant? Get in touch. What is your 1st, 2nd, 3rd and 4th colour energy? COMMENT below. How do your colours compare to your nearest and dearest? COMMENT below. Contact us to to discuss more or if you would like to see a copy of my Insights Discovery Profile. How do you discover your Life Purpose? Karran on How to manage your time: 5 tips that are proven to work! Darren on How to manage your time: 5 tips that are proven to work! Karran on Why do athletes achieve their goals? Derek Buntin on Why do athletes achieve their goals?